I just love the month of October and I think it’s safe to say that it’s my favorite and I’m a bit sad that it’s already over! 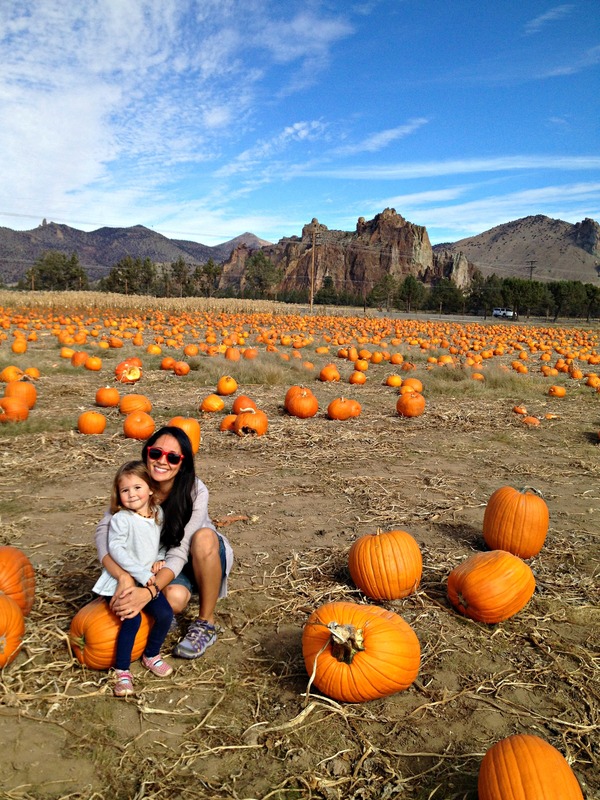 Perfect weather, beautiful colors, all things pumpkin and cozy sweaters. Just the other day, Willow came up to me and said, “October is fun to say!” So there you have it, October is pretty fantastic. Kite Hill Almond Ricotta >> A bit on the pricey side, but super convenient and ABSOLUTELY delicious! We used it to make lasagna roll ups one night. Kite Hill is a Whole Foods Exclusive brand (only sold at WF). 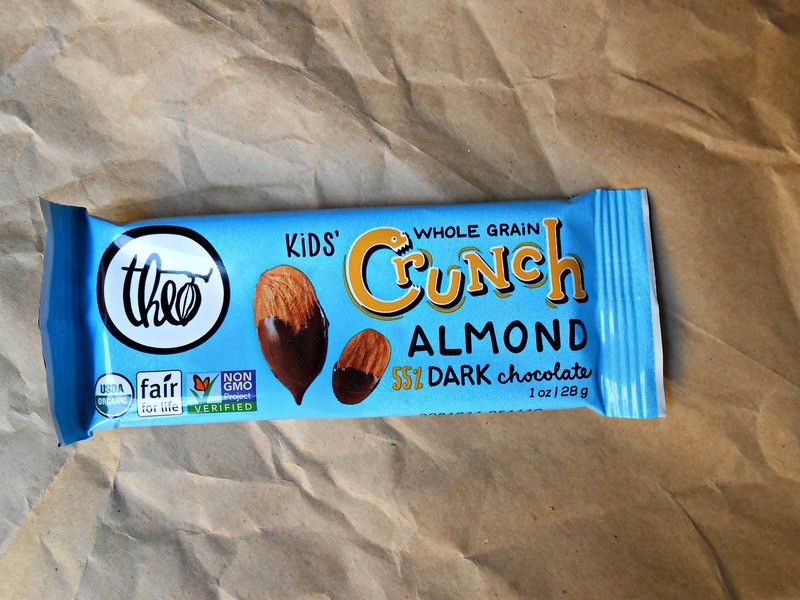 Theo Kids Crunch Bar >> Move over Nestle Crunch, here is a waaaaay better version and healthier. I bought these from Natural Grocers for Willow and stole a square to sample it. I love that these bars aren’t overly sweet and the crunch factor is wonderful. Bits of almonds, puffed rice and puffed quinoa – it’s rather magical. 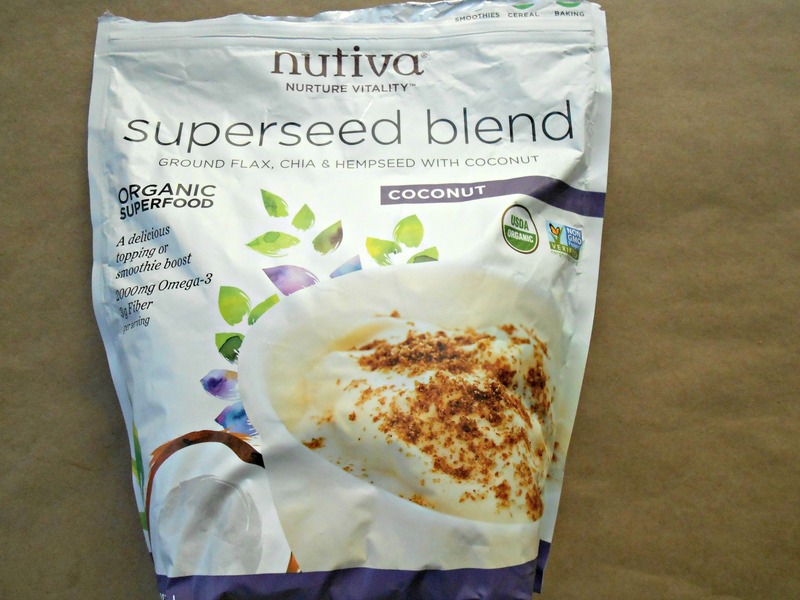 Nutiva Superseed Blend >> My love for Costco grows more and more with each visit. Our last trip we bought a 4-lb bag of organic coconut sugar (also Nutiva) for only $10!!! I almost bought four because that price is insane. But we also found this amazing blend of seeds (flax, chia, hemp) with coconut sugar and coconut. We’ve been adding it to smoothies and I’ve been sprinkling a tablespoon’s worth on top of my plain yogurt. The price escapes me at the moment, so when I find the receipt, I’ll update this post. 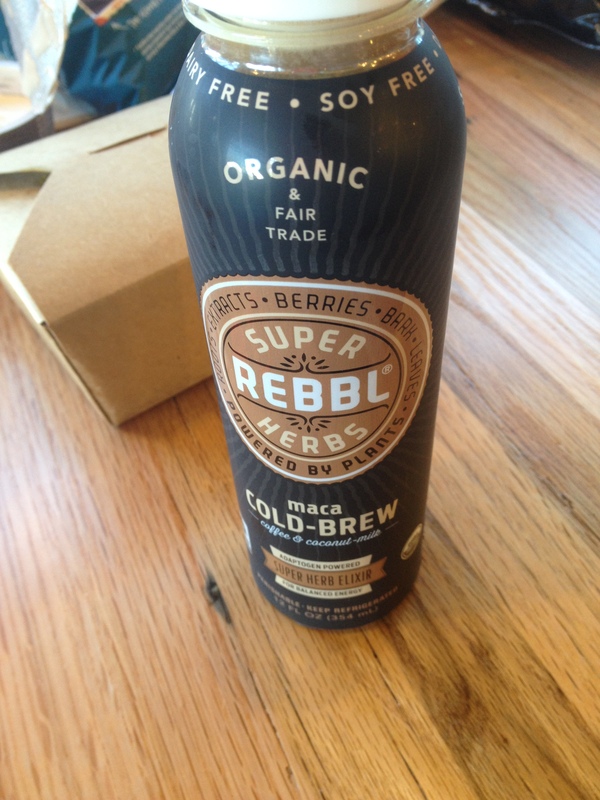 REBBL Maca Cold Brew >> purchased at Whole foods. 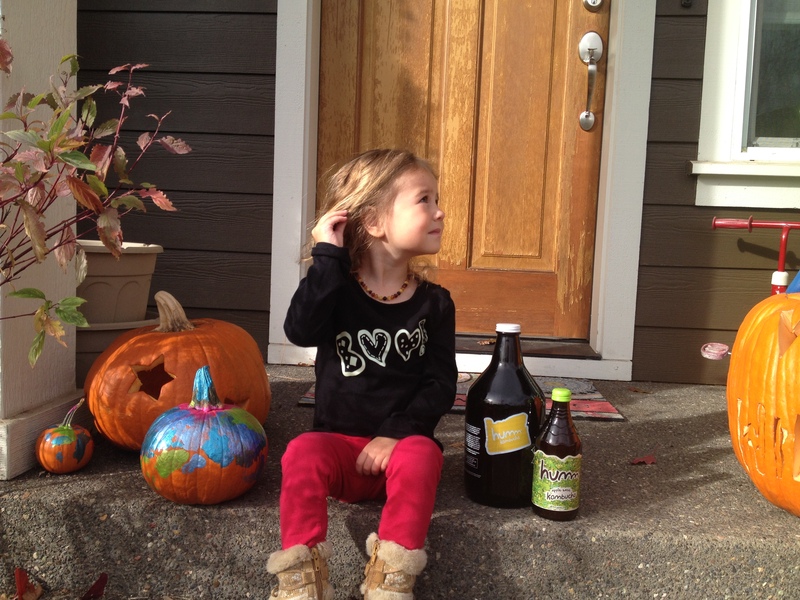 HUMM KOMBUCHA >> Pumpkin Pie Kombucha >> One of the MANY perks of living in Bend, OR is having Humm minutes away! We visit their tap room frequently, often times once a week. Not only are they the friendliest group of people, but every flavor makes me (and my belly) happy. When I got word that they had Pumpkin Pie Kombucha on tap, I knew we had to run at the chance to try it before it went away. Hubby went to fill our growler and was told it’s excellent with a dollop of whipped cream. So you better believe we did just that! The kombucha itself was out of this world – very reminiscent of their chai flavor, but more intense with pumpkin-y, gingery and vanilla-y notes. 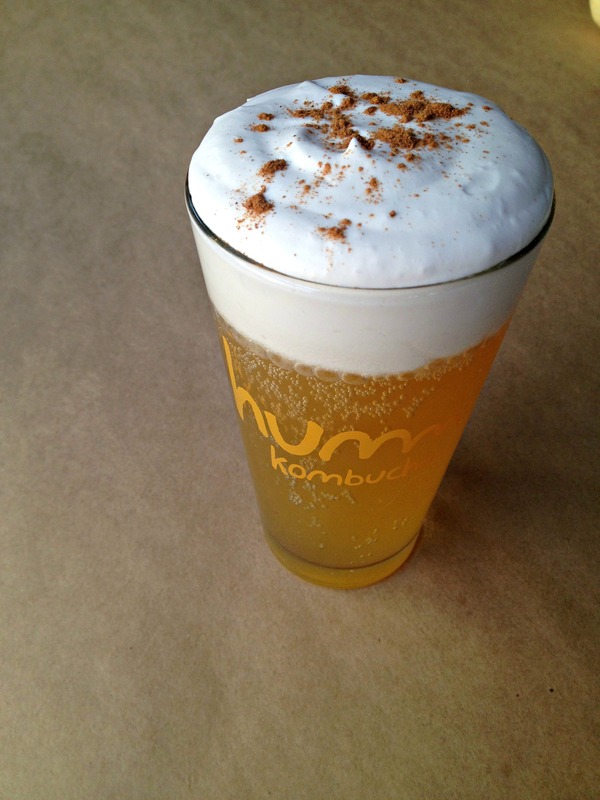 Humm’s Pumpkin Pie Kombucha with homemade maple-vanilla coconut whipped cream and a sprinkle of pumpkin pie spice. HOLY YUM!!! We’ve been using this for several months, but I just keep forgetting to add it to my favorites! Most cooking sprays contain soy so you can imagine my surprise when I found this product. We first purchased it from Natural Grocers, but now Costco carries a two-pack for waaaaay cheaper! We don’t use it very often, but it certainly comes in handy when we need it – for “greasing” pans or for use with cooking pancakes. 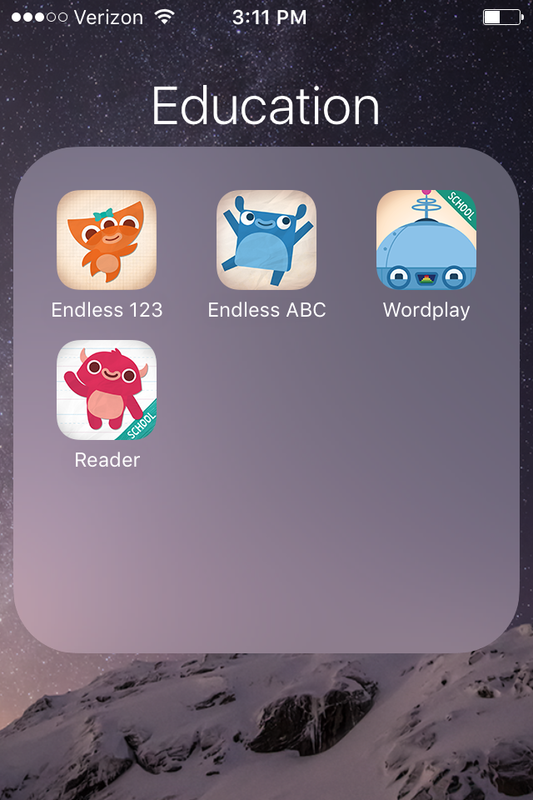 Not food related, but another favorite this month happens to be a few toddler-friendly apps for the iPhone or iPad. We learned about Endless Alphabet from our naturopath and although it was the most expensive app we’ve ever downloaded, it has been hands down the best and incredibly educational. My mom downloaded the package deal and since we have family share for apps, we have them on our devices, too. They’ve been great for longer car rides and occasional use at home. Willow walks around telling me what various words mean, for example, just the other day she said to me, “Famished means very, very hungry.” New words are constantly added and I have to say, this app is the best I’ve come across. It helps with pronunciation, understanding the meaning of, and spelling. 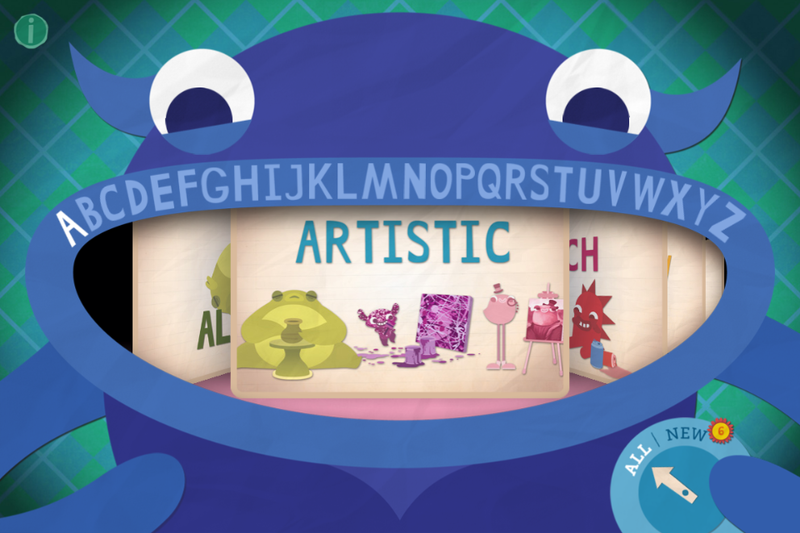 For Endless Alphabet, the child drags the letters to spell the word and then they give an example and explain the meaning. Steelheart >> If you read last month’s favorites, you probably remember me mentioning this book. Well, I finished it and LOVED it! This book had it all (action, suspense, love and more) and hit all the emotions – I laughed a little, cried, got frustrated and jumped for joy…it’s been a long time since I’ve read a book like that. Now I need to get the second book in the series!! Life and Other Near Death Experiences by Camille Pagan >> I chose this book as my Kindle First selection for the month of October (free download) and it did not disappoint. I needed a break from the mystery/suspense books I tend to gravitate towards and this was just what I was looking for. Easy to read, fun and thought-provoking. The main character, Libby, is diagnosed with an aggressive form of cancer AND her husband comes forward with some shocking news about their marriage all in the same day. As told through the eyes of Libby, we follow her journey to understanding all that has happened. I know that sounds depressing, but this book was surprisingly upbeat with plenty of humor. I will admit that I did cry while reading some of this – but I love how the story felt very real…not sugar-coated. The Girl with All the Gifts by M.R. Carey >> I’m not very far along in this book, but so far it’s got my attention. My hubby and a friend recommended this book to me. From what I’ve gathered so far, it’s kind of a creepy, thrilling, zombie book. Hopefully I’ll have a better review of it up in next month’s post! Josh and I have been slowly (very slowly) making our way through the series Justified, and have been for a couple of years. If you’ve never seen an episode, you must! We watch it through Amazon Prime. I’m also still working through Bones Season 10. 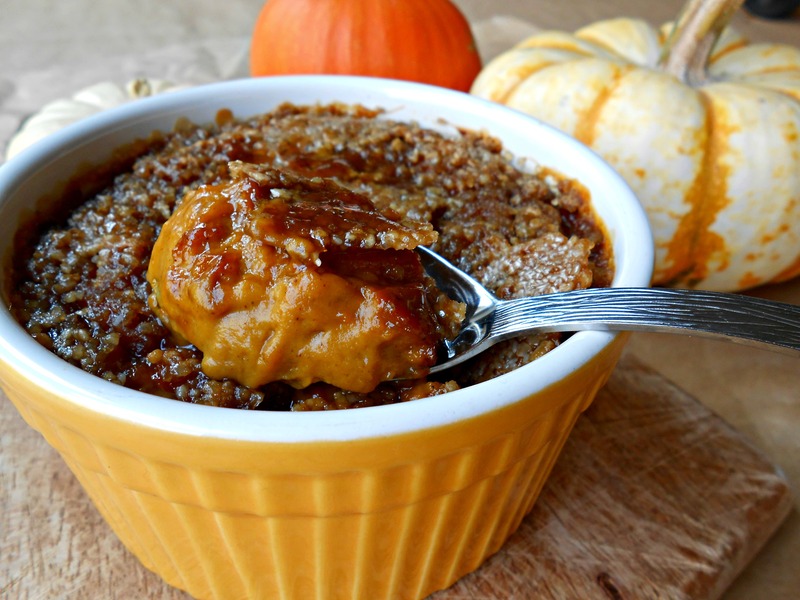 Vegan Pumpkin Creme Brulee >> Feasting on Fruit >> This was SO good that we made it twice! I love Natalie’s recipes because they’re all gluten-free, soy-free and of course vegan. I’ve seen some vegan variations on creme brulee, but never tried them because they all called for soy and sometimes (more often than not) soy is hard to replace. 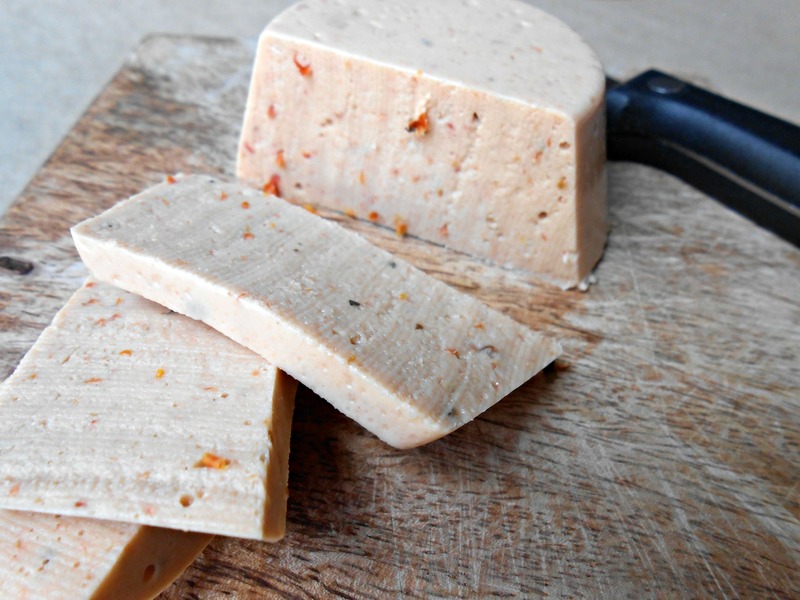 Leave it to Natalie to use hemp tofu! The crunchy topping and creamy base made for a perfect treat! 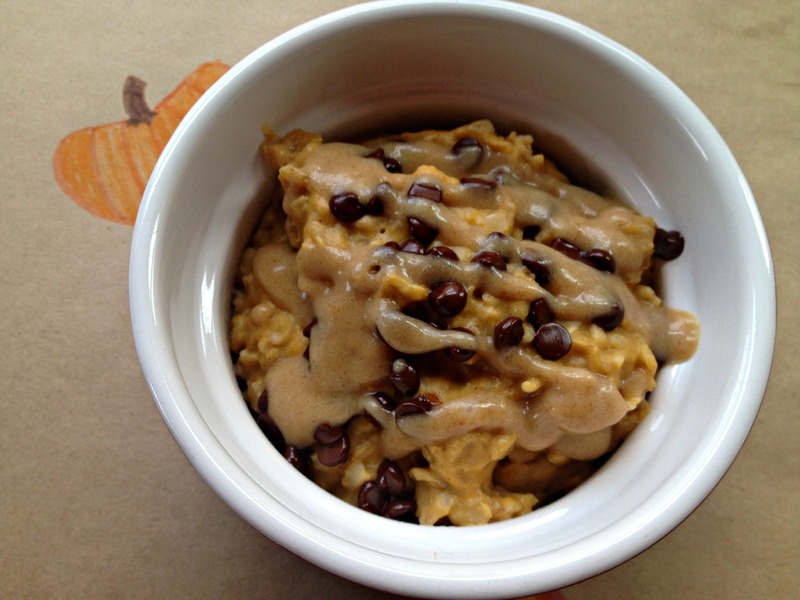 Creamy Pumpkin Spice Chia Pudding >> Feasting on Fruit >> Here’s another recipe of Natalie’s that we’ve made a few times! We had this for breakfast a few mornings and on two occasions we paired it with some plain Kite Hill yogurt. Willow devoured hers and moved onto mine. Josh described the pudding as having an almost butterscotch-like flavor. I’m a big fan of chia pudding, even more so when it’s blended smooth, so this was perfect. Layers of chia pudding and Kite Hill’s plain yogurt with my toffee sauce drizzled on top! Smoky Jalapeno Black Bean Dip >> The Vegan 8 >> Are you surprised to see another Brandi recipe pop up in my favorites?! Ha! She’s the best! I loved this so much that I could have eaten it on its own with a spoon…but I refrained. We used it with tacos and also spread it on pizza crust for a taco pizza. Vegan Baked Oil-Free Hushpuppies >> The Vegan 8 >> I have never tried hushpuppies before, but when I read Brandi’s post about them and scanned over the recipe, I knew we had to make them. You guys. I lost track of how many I ate!!! These are out of this world delicious! Buttery and incredibly flavorful despite having so few ingredients. We will be making these again very soon! Low-Fat Vegan Gluten-Free Pancakes >> The Vegan 8 >> Some of you know that my oat sensitivity has returned and I am VERY sad. Many of my favorite recipes call for oats in some form (whole oats or flour) so I have had to find alternatives. With the leftover corn flour that we had to make Brandi’s hushpuppies, we made her low-fat pancakes and they were amazing! We added chocolate chips per Willow’s request and after the first few bites she exclaimed: “They taste like chocolate chip cookies!” I loved the texture of these pancakes and they reminded me of a smoother cornbread in pancake form. I combined some Yumbutter Almond Butter with pure maple syrup and drizzled it on top. These pancakes are fantastic! Creamy Sriracha Sauce >> Veggies Don’t Bite >> The sauce queen (aka Sophia) strikes again and she nailed this spicy, creamy creation. I even kicked myself for not thinking of the combo myself seeing as tahini and sriracha are staples in our house! Not going to lie, I ate a couple of small spoonfuls before finally drizzling it over tacos. I later used the leftover sauce to make chickpea mash (instead of using mayo) and it was incredible! In place of vegan mayo, I used Sophia’s Creamy Sriracha Sauce to make chickpea mash – I also dipped raw broccoli florets in the sauce…YUM! 3-Ingredient Vegan Caramel Sauce >> Plant Strong Vegan >> I feel like I have to try every vegan caramel sauce that surfaces and when I saw Margaret post one, I jumped on it. Rich, smooth, decadent and oh so delicious! I dipped apples in it, drizzled it over smoothie bowls, and made a latte with it. 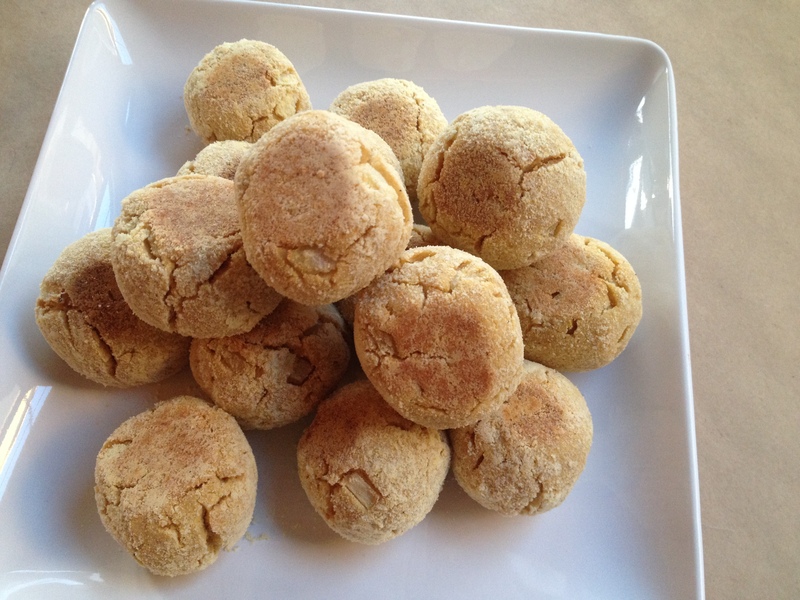 Her recipe is SO simple, but darn good!!! Definitely adding her recipe into rotation! 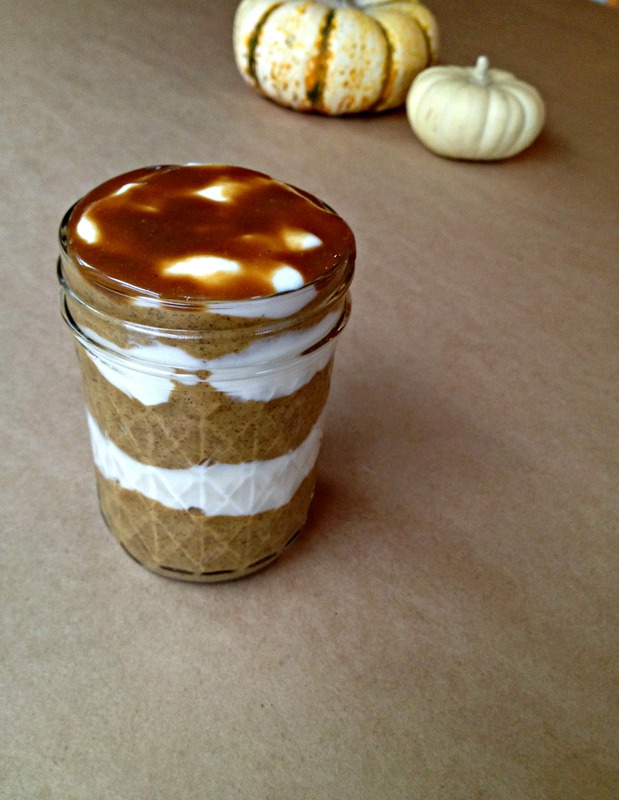 Margaret’s caramel sauce drizzled over pumpkin oats. Sliceable Cashew Cheese >> Yum Universe Cookbook >> We’ve been making this cheese for a while now, but this last month I finally decided to play around with flavors. I added sun-dried tomatoes, garlic and basil…WOW! Enough said. For those who don’t follow me on Instagram, I am offering my Pumpkin Spice Body Butter (available for purchase through Etsy). It’s made with my own essential oils blend (cinnamon bark, nutmeg, ginger, clove and vanilla) along with a pinch of pumpkin spice. 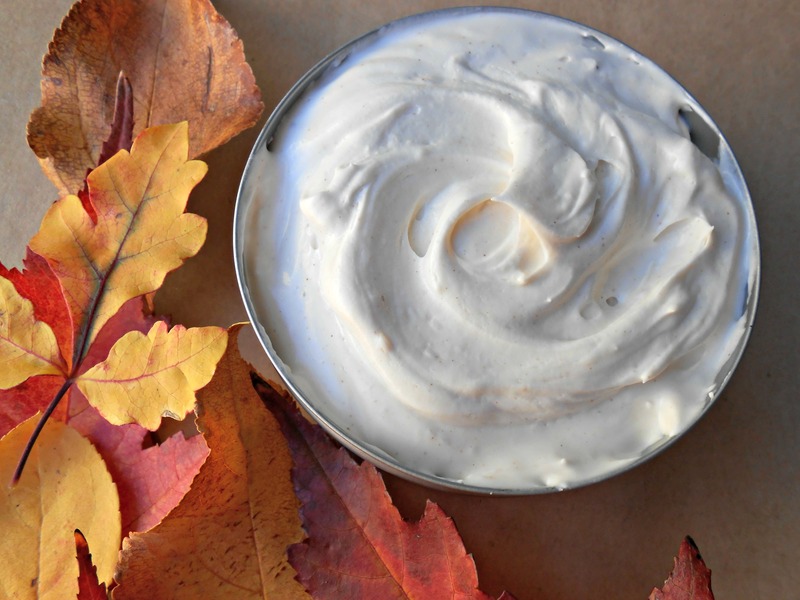 This is a seasonal body butter blend, available through the end of November. 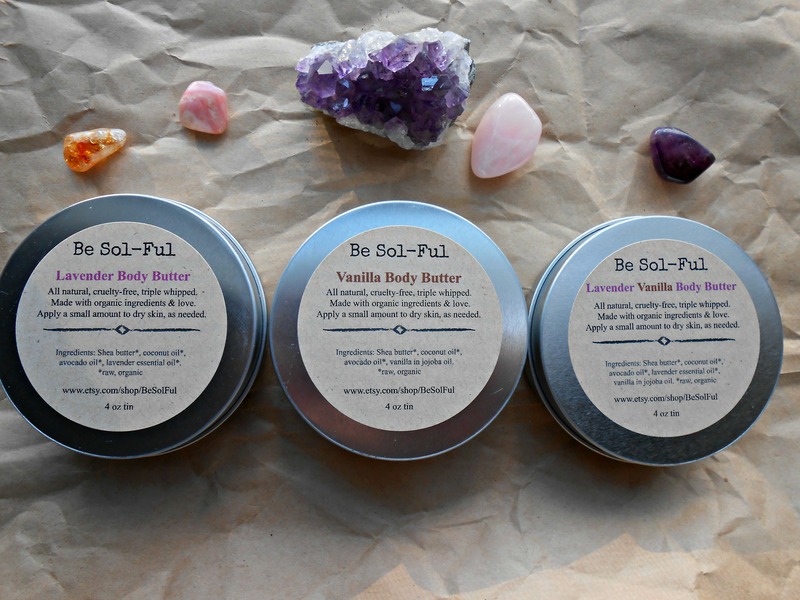 I also now have Lavender, Lavender-Vanilla, and Vanilla Body Butters for sale permanently (or until the weather gets too hot). All of my body butters are made with organic ingredients and triple whipped for a light, airy texture. They leave your skin feeling soft and moisturized – the combination of shea butter, coconut oil and avocado oil help to heal even the driest skin! As always, I love your monthly favorites! I already had some of the recipes bookmarked, now I just have to get to making them! I love your recommendations on books and TV too. We just finished all 3 seasons of “House of Cards” – loved! Looking forward to ordering your body butter too! Thank you so much!!! I really does mean a lot to me that you take the time to read these posts…I know I’ve said that before, but seriously, thank you! OMG I’m about to die from all this yumminess! That chickpea mash sandwich looks incredible and those coconut caramels with the spice flavor, omg! I want those now! Thank you so much for linking to 3 of my recipes sweet friend! I’m ecstatic you loved all 3! I didn’t even know you made the pancakes! So happy you loved them and even moreso, Willow, haha! I’m totally in love with them and since they are so low-fat, we can all eat so many more of them, haha! I cannot wait to get your pumpkin spice butter, it should arrive any day now! Thanks again friend! 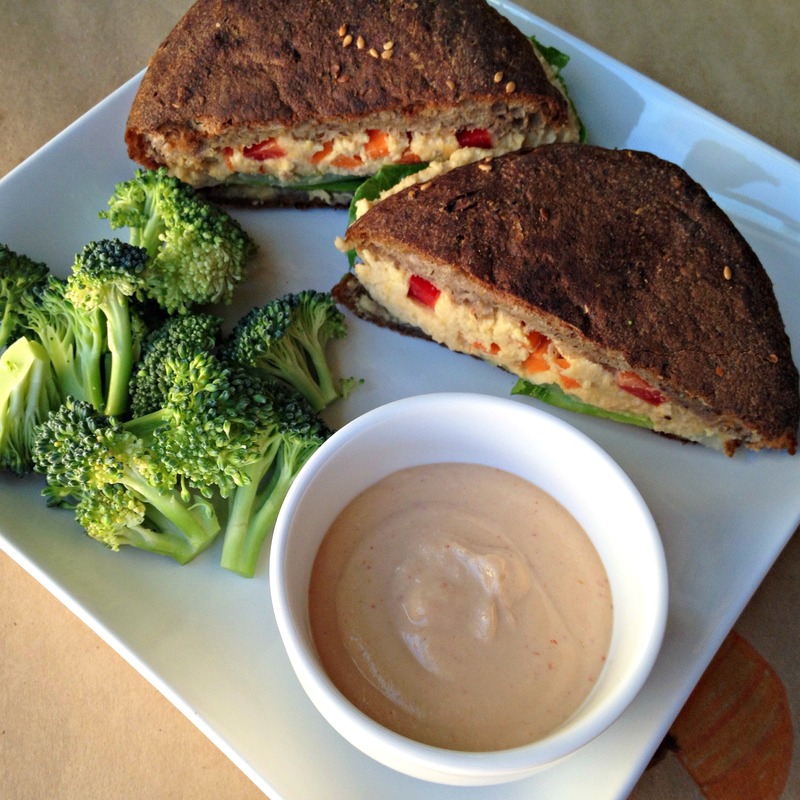 Sophia’s sriracha sauce was the perfect addition to that sandwich! SO good. And those caramels didn’t last long in our house – I’m glad we sent part of the container home with my mother-in-law! You are so welcome!! I love your recipes…which is why at least one will always appear in my favorites posts! Those pancakes and hushpuppies blew us away! I will have to double the recipe of those hushpuppies for a family get together because I know they’ll get devoured really fast. HA!!!! 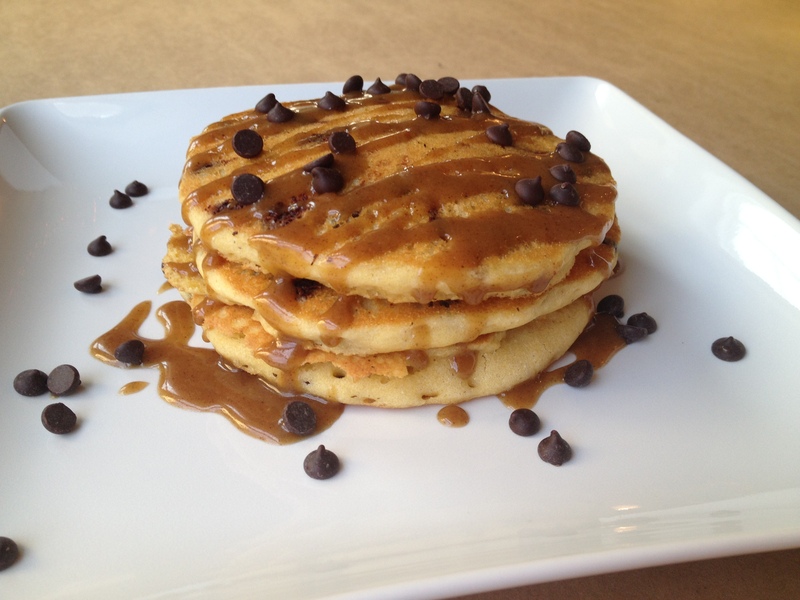 Good because I had three of those pancakes in a sitting…i’m terrible! Thank you SO much Mandy for liking to my sauce! I’m so happy you liked it. I can’t believe it took me so long to think of it! LOL! And with chickpea mash…deeeelicious! Sounds amazing!! Thanks friend. Things are on the way to better! Warning: this is going to be a long comment because you just mentioned way too many good things!!! First of all I am beyond excited about those new body butter scents ❤ ❤ ❤ I don't think I can go back to life without your body butters! And thank you times a million for including my recipes, I didn't know you had made the chia pudding!!! I love it with the coconut whip in there and I can totally see the butterscotch description. I want to try so many of those products I'm going to have to refer back to this when I visit my sister up there next year because I can't find all of them around here. Rebbl has been on my list for a while, that kombucha looked incredible, and coconut oil cooking spray is a must (but so overpriced here). Oh and those Theo bars I might have to order those, Crunch bars were always my favorite, and the ingredients on those are so clean! Your favorites posts are the best I tell you, either we have similar tastes or you are just amazing and make and try tons of fun things constantly!!! Your chia pudding, and of course the brulee, were wonderful! Not even kidding, Willow requests that pudding all the time…so I need to be sure to have a nice stock of chia seeds in the pantry! SO GOOD! I look forward to these posts! Cool to see the variety of reccomendations from books to recipes! We will have to discuss the girl with all the gifts when you get done and I’m excited you liked steelheart!!!! I have some recipes to try 😋 And I want those cocomels something fierce! By the way, every time I pass by a bottle of Rebel at the shop now I always think of you hehe. So much goodness! I love the SuperSeed blend from Costco. I fall in love with Costco more each time I go too! Willow is such a doll baby. 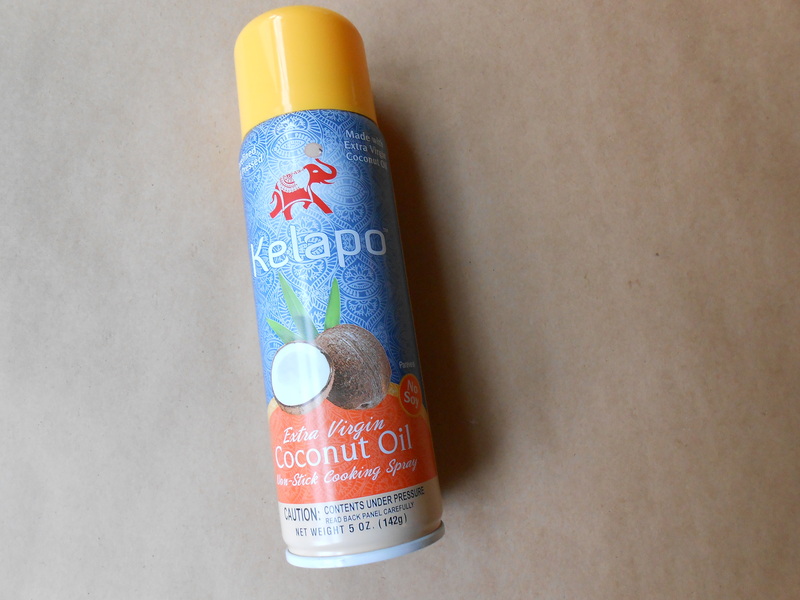 Cool coconut spray also. 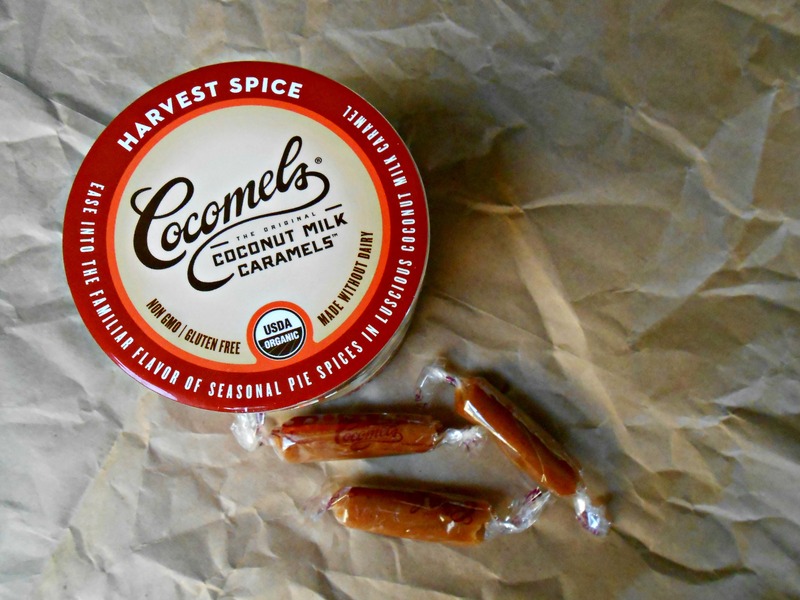 I’ve gotta try hose caramels and those cookies! Thank for the awesome review!